In its recent ruling that the cap on noneconomic damages for personal injury awards or settlements in medical negligence cases was unconstitutional, the Florida Supreme Court ignored why these caps were put into place—to ensure patients’ access to care and ability to receive quality care. On June 8, 2017, the court held that the cap violated the Equal Protection Clause of the Florida Constitution because it unreasonably and arbitrarily limited the right of recovery for those most grievously injured by medical negligence. The court went on to hold that arbitrary caps on personal injury noneconomic damages do not pass what is known as the “rational relationship test,” where a challenged law must be rationally related to a legitimate government interest. While disappointing, this ruling in North Broward Hospital District, et al v. Kalitan was not unexpected. In its opinion, the court heavily relied upon its 2014 ruling in The Estate of McCall v. USA, where it held that noneconomic damage caps were unconstitutional in wrongful death medical negligence cases. In reaching its decisions in McCall and Kalitan, the court ignored the fact that on Aug. 28, 2002, Governor Jeb Bush appointed the Select Task Force on Healthcare Professional Liability Insurance because of a looming crisis of skyrocketing malpractice insurance rates. This task force included the presidents of Florida A&M, University of Central Florida, and University of Miami; a past president of the University of Florida; and a board member of the University of South Florida. It undertook a comprehensive review of published studies and relevant literature and received extensive testimony during several meetings. The task force produced a 345-page report and 13 volumes of supportive material, making recommendations in the areas of patient safety, tort reform, and insurance reform. The Florida Legislature debated the matter throughout the 2003 session but could not agree on how to resolve the complex issues that created the crisis. Then-Governor Bush called them back into special session in the summer of 2003 three times before both houses of the legislature could finally agree on a solution. In the end, they found that Florida was in the midst of a medical malpractice insurance crisisof unprecedented magnitude that was causing physicians to retire early, move out of state, and limit the types of procedures they performed. The crisis was also causing hospitals to close obstetrical wards. They found that the crisis was not only restricting access to care for Floridians but also impacting the quality of that care. - In 2002, the average premium per doctor in Florida was 55 percent higher than the national average. - In the preceding six years, the average increase in Florida insurance premiums was 64 percent compared to 26 percent for the rest of the country. - Premium increases were being driven by increases in payments to patients. - Noneconomic damages constituted 77 percent of total damages paid to claimants. - The high cost of medical malpractice claims could be substantially alleviated by imposing a limit on noneconomic damages in medical malpractice actions. - Besides the impact on patient care, the elimination of the cap on noneconomic damages because of the Florida Supreme Court’s ruling is expected to increase the frequency and cost (severity) of claims. This could drive up premiums and ultimately the cost of healthcare. The only good news in the Kalitan decision is that it was decided on a 4-3 vote while McCall was decided on a 5-2 vote, because Justice C. Alan Lawson was appointed by Governor Rick Scott earlier this year to replace retired Justice James E.C. Perry. The dissenting opinions in both of these cases argue that the court’s majority violated the separation of power rule by infringing upon the legislature’s role to make policy under the Florida Constitution. Of the four justices who voted to find the cap unconstitutional, three—Barbara J. Pariente, R. Fred Lewis, and Peggy A. Quince—are facing mandatory retirement in January 2019. A supreme court more favorable to caps may exist in the future, and the battle over the philosophical bent of the future court has already begun. About Robert E. White, Jr.
Robert E. White, Jr. is senior vice president and regional operating officer for The Doctors Company. White is located in Jacksonville, Fla. and is responsible for The Doctors Company’s Southeast Region. The Doctors Company is the largest insurer of healthcare providers in Florida, insuring over 14,000 healthcare providers in the state. White has 48 years of experience in the insurance industry, including managing the claims and loss prevention departments of several commercial and doctor owned insurance companies before coming to The Doctors Company in an administrative capacity 15 years ago. 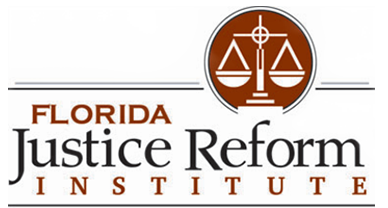 He served as president of the Insurance Operations of FPIC Insurance Group from 2002 to 2011 and has played a role in the legislative process in Florida’s tort reform battles since 1982.